Ibotta Referral Code YMZCNQ Gives You a $10 Sign-Up Bonus! 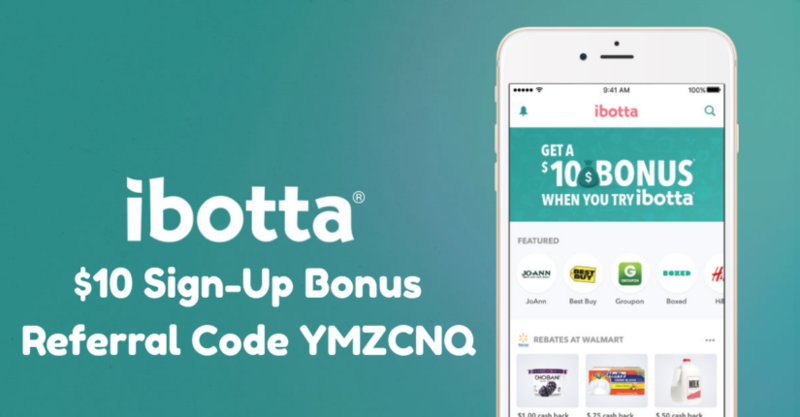 As of April 2019, the Ibotta Referral Code YMZCNQ will give you a $10 sign-up bonus for the top cash back app Ibotta. We have made over $1,600 using the Ibotta app, and below we will give you 5 reasons why we love Ibotta and you should too! So here are the 5 reasons we love Ibotta. 1. It’s easy to use. That’s it! Nothing more! All in all, it takes less than a minute, which is why we’ve been able to stick with it. Oh, and you can choose to get payment via either Paypal, Venmo, or gift card! 2. You get cash back on everyday items. Coupons are an absolutely brilliant marketing ploy because they’re generally pretty successful at convincing you to buy things that you wouldn’t have purchased anyway. So while you think you’re saving money, you’re actually not. Ibotta, thankfully, isn’t like this. With Ibotta, we get cash back on items that we buy anyway. 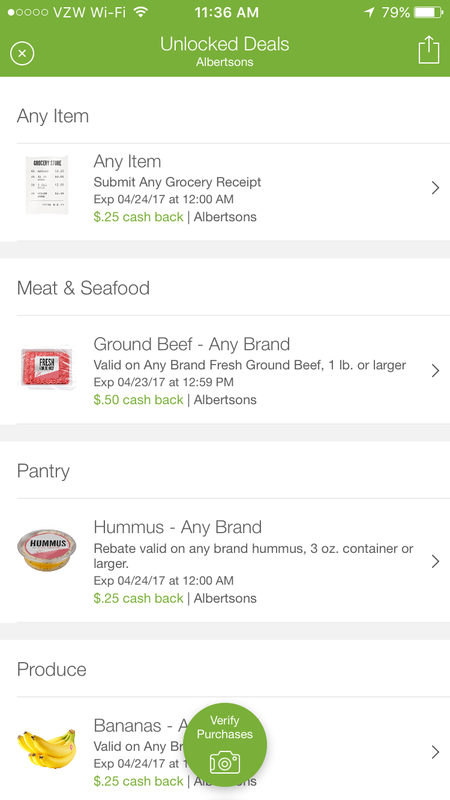 Here are just a few of the items that we routinely get cash back for on the Ibotta app: apples, bananas, butter, cereal, eggs, ice cream, meat, milk, oranges, yogurt, and more. And yes, there are many more items than these if you have more extravagant tastes, such as artisan-inspired BBQ chicken & sweet potato dog biscuits and Kashi bars. Every week or so, Ibotta comes out with a new bonus. For example, right now, Ibotta is giving an extra $5.00 bonus when you redeem 8 rebates and an extra $2.00 bonus when you redeem 5 rebates! 5. It’s not just grocery stores! Ibotta works with 169 grocery store chains nationwide, so chances are your local grocer is already working with. But it’s not just grocery stores that work with Ibotta! It works in over 300 retail chains, restaurants, movie theaters, convenience stores, home improvement centers, pet stores, and pharmacies nationwide. I can’t say it enough; this app is AMAZING. 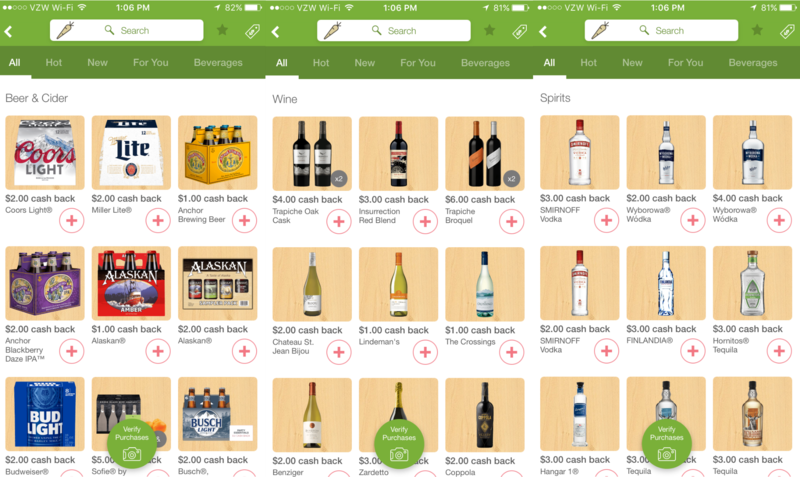 It’s basically free money as long as you just keep buying what you normally buy while using the Ibotta app. So go ahead and click on my Ibotta $10 Sign-Up Bonus Link to receive a $10 sign-up bonus just for trying Ibotta! For a $20 sign on bonus use the code above. You’ll love Ibotta! Here is another active code for getting $10 on your first use on Ibotta. Here’s a current code for some bonus cash! oajuiqj Ibotta referral code please use! Get free $10 when you redeem your first rebate on Ibotta!! Sign up with fetch rewards using the code and get up to 50,000 points for submitting your first receipt! It’s that easy, just make a purchase and you’re set. Enjoy! Use my code: KLWFDKM for your $10 bonus! You won’t regret it , I use my Ibotta as a savings account for Christmas! Copy and paste the above referral code for ibotta and get 10 dollars!!! use code YMZCNQ when you sign up for your FREE TEN DOLLARS and you will then be a member of my team and build towards monthly bonuses based on our combined IBOTTA participation. Use code YMZCNQ in the “referral code” box at sign up, for a $10 welcome offer on your first receipt processed through ibotta. It’s a quick and effective way to save on everyday spending! Available to first time subscribers only. Offer with be emailed to you after sign up. Also if you sign up using the referral code YMZCNQ you get $10 sign on bonus! Thank you for the code……i used the original posters code. Building a team that’s serious about saving money and using Ibotta. Use this code YMZCNQ (Copy and paste) when you sign up for your an immediate $10 CASH. My wife got me addicted to this. Yeah I’m a man 20 years retired from the Army. “Ain’t no shame in geting money back on things you buy every day”. Let’s get it. I thought I wouldn’t use ibotta and it would be a huge hassle… Turns out I use it everytime I go shopping and it’s super easy! Feel free to use my code YMZCNQ great app that earns you lots of rewards for just shopping !! I just signed up using one off these referral codes! They give you a refer-a-friend code that earns you $5.00 everytime it’s used. They’ll get the $10.00 bonus too. Earn cash back for things you buy daily! My code will get you a $10 bonus too! Redeem your first rebate and get free $10 bonus!! Thank you for using my code! ? So excited to have you join my team! Use code YMZCNQ to get started. Hey! Thought you would enjoy Ibotta (if you don’t already). It’s an easy to use, cash back rewards app. I use it every time I shop, and thought you would like it too! Use my referral code, ymqcnq, and you can get a $10 welcome bonus. dmpejnh is my Newest Ibotta Code! Get a $10 Welcome Bonus after your first receipt submission! gxuocjf It’s this easy copy last my code!!! Hey! Ibotta is great and easy for getting cash back! You get a $1 for every uber ride as long as you order and link your uber account! Thank you to anyone that used me code! Enjoy the app ? I will be there to help you as much as I can! Thank you! Hey New IBotta Users, So far best referral offer I have ever seen by Ibotta….Make Hurry!! Sign up fast because now Ibotta is giving April Cash back match (10$ to new users….+ 5$ Extra for both+ cash back match for both) if you use referral code or link. I have earned 1270$ till now and you would be happy to join my team…More members, more easy to collect bonuses…. Would be so sweet of yours to use my referral link! * Make sure : redeems a rebate within 7 days of signing up to earn Welcome Bonus. I promise ibotta works and I’ll help get team bonuses!!! Hey ! ibotta works great and bug free, and lots of products to get cash back simple and fast. Ive earned over $200 using this app in just a couple months, please use my refferal code Id greatly appreciate it! Thanks? ?